Agent Yagil is a seasoned Guardian Angel, but his newest assignment is going to take every bit of strength and commitment he has. Seventeen year old Amber Reynolds is looking for freedom and independence from her ridged lifestyle. Going behind her parents’ back, she takes a part-time job at the renowned Inn located within Ambrosial Acres. 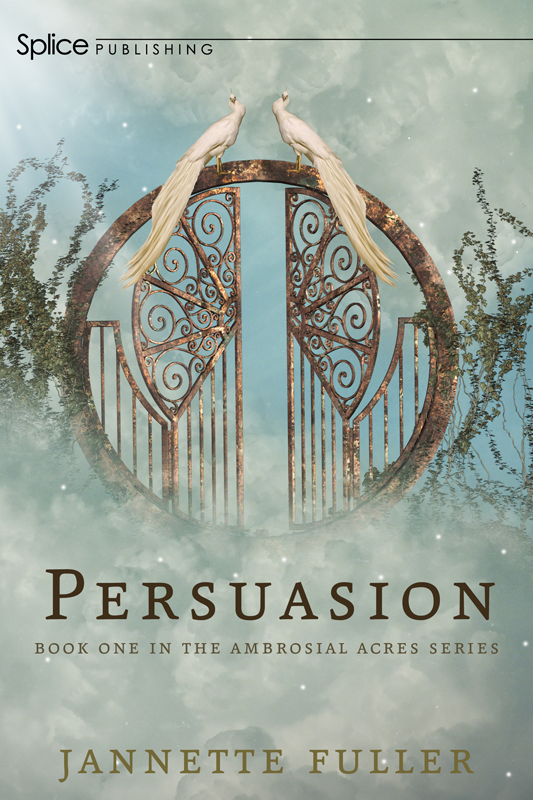 As Agent Yagil watches over Amber, he discovers that despite its mysterious beauty, Ambrosial Acres hides a dark and supernatural secret. Between Amber’s new coworker crushes, her menacing stalker, a mysterious online stranger, and the evil Agents out to lead her down a path of self destruction, Agent Yagil faces the fight of his career. Life is all about choices. Can he help Amber make the right ones, before it’s too late? Suddenly, inactivity transpires within the suite, giving it a graveyard ambiance. Phoebe, Josh, and Amber become stiff as statues—the result of what happens when time freezes. Something lifts me up into the air. I can’t believe it! It’s the orb! I let out a gasp as I drop to my knees. I find myself mesmerized by the intense gaze between Josh and Amber. I snap out of it, and scramble to my feet, searching for the orb. A bright light blinds me, as if someone had just snapped a picture in front of my face. I squeeze my eyes shut, and then I open them, squinting as I adjust to the natural lighting streaming through the French doors. Time unfreezes and then everything continues where it left off. “Hi,” Josh says, his brown eyes sparkling. “Hey.” Amber smiles, her dimples sinking into her cheeks. Wonderful. Now there are two boys who have captured my subject’s interest, making my job more difficult. Phoebe is right about one thing—there is definitely some sort of magnetic force radiating over Ambrosial Acres. 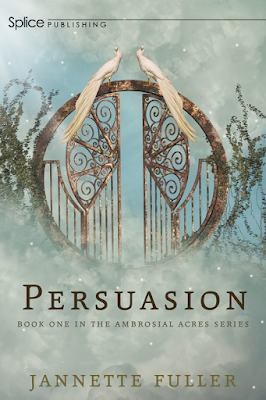 Jannette Fuller is the author of Persuasion (Book One in the Ambrosial Acres Series). 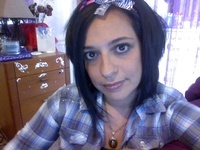 She lives in the beautiful and majestic mountains of Boone, North Carolina with her husband and children. And even though she loves coming up with fantastical ideas for her stories, and bringing them to life, she fancies other things as well: exercising, going on nature walks, watching Netflix, recording on Singsnap, drinking coffee, and she enjoys foot massages too, but that only happens when her husband's in the mood to give her one.